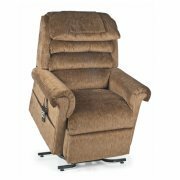 Lift chairs are powered recliners which are able to tilt forward to assist standing up. 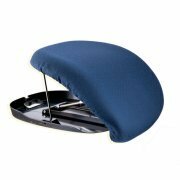 2 position lift chairs recline about half way, 3 position are able to recline further and have a comfortable let rest. Infinite position lift chairs which are able to recline horizontally. Zero gravity chairs are able to lift the legs above heart level for users with special medical conditions. Some models are designed for extended use and sleeping. There are also heavy-duty models for users up to 600 pounds. 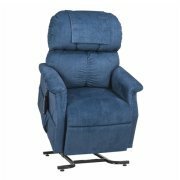 Lift chairs are intended to assist those needing a lift chair or caregivers seeking information for a friend or relative. By reading this guide you will learn about the different types of lift chairs available and also some popular manufacturers of quality lift chairs. 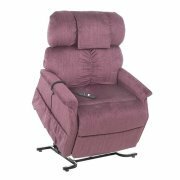 Lift chair recliners can make a great addition to your home decor. 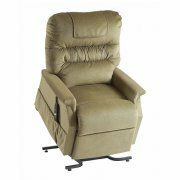 Lift chairs will provide comfort and help increase your independence. 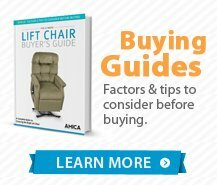 Lift chairs are considered medical equipment, but you may not notice when looking at one. Most lift chairs are designed to look just like normal recliner chairs. When looking at the chair, most people probably won't even know that it is a lift chair, unless you were to tell them.